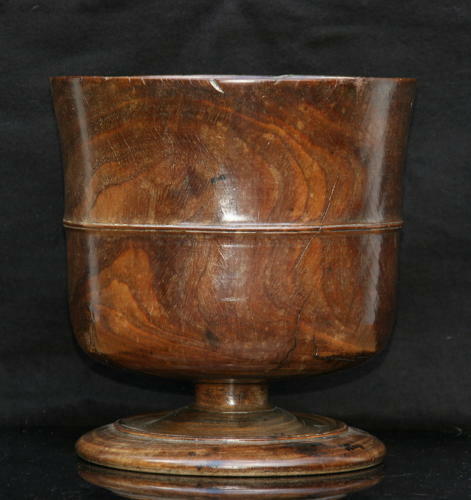 Wassail Bowl lignum vitae c.1680. Thinly turned, Beautifully patinated, interestingly warped, Lignum Vitae, English Wassail Bowl, c.1680. A nice medium / small pleasingly shaped example,lovingly restored with historic butterfly and wire repairs. This nice example is almost loveing cup proportions.